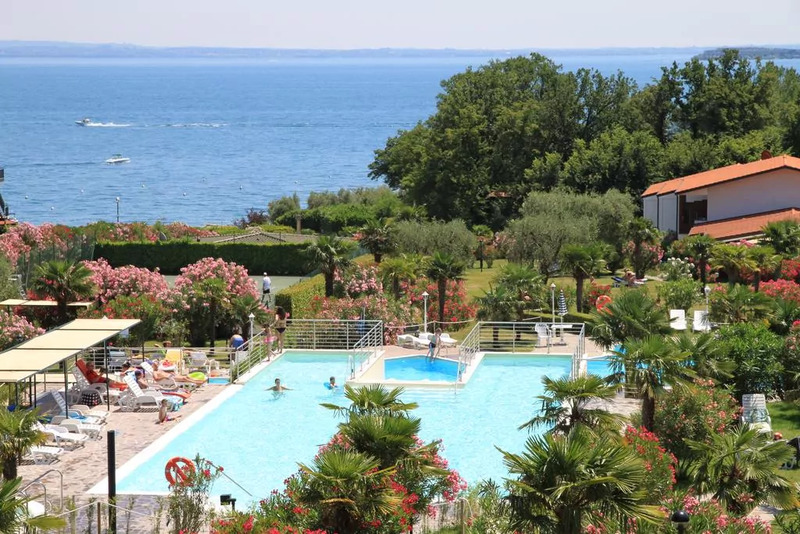 Welcome to Residence San Sivino Manerba del Garda, Surrounded by a large park, the San Sivino is in Manerba del Garda, facing the Sirmione Peninsula. It offers free Wi-Fi, free parking and lake-view apartments. Apartments come with a fully fitted kitchenette and a balcony or terrace. Each has air conditioning and an LCD TV with satellite channels. The park of the San Sivino Apparthotel features oleanders and palm trees, and ends on a gently sloping beach on Lake Garda. There are also 4 swimming pools, for adults and for children, a free minigolf and free ping pong tables. The Apparthotel's restaurant serves classic Italian cuisine, drinks and snacks. In fine weather, meals are served on a panoramic terrace. (Residence San Sivino Manerba del Garda hotels booking).